Taking solid field notes is a skill that many students are not taught. The days of a geologist's life recorded in a well-worn, dusty but interesting book full of diagrams, maps and descriptions are all but gone. This task has been taken over by smartphone photos and tablet movies with 'voice-overs'....and not much else. Now I am an early adopter of technology - and I love my smartphone apps! I love being able to take photos and movies in the field and I find them all extremely useful. However, there are some field note skills that I think are still extremely important for geoscientists to learn. I don't really care if they use a smart-device to capture this information - as long as they can find it all in one place (and I have a suggestion below of an app. worth looking at). Recording location - name, description and coordinates. Field notes - what are the skills? Here is a little more detail of what I like to teach students about taking field notes. This is probably the most important thing to record, as you may want or need to come back to the exact point sometime in the future to verify your observations. And I don't mean next week - I mean in thirty years time! Roads change. Tracks and paths become overgrown. Vegetation can completely change. Land use can change. But a good set of directions and coordinates just can't be beaten. Nowadays there is no excuse for not recording digital latitude and longitude. Almost every smartphone can provide that data as they all have built-in GPS that does not require being hooked to wi-fi or cell phone signals. A sweet built-in app for the iPhone (and no doubt there is something for other platforms) is called Compass. It provides lat/long and so many other features (you can use it for dip and strikes and more). For instructions on how to use 'Compass" see this nice article. I know we can all take photos so easily with your phone/tablet, but being able to take a quick field sketch is an important skill. Sketching allows you to add some interpretation and helps your brain to synthesize what it is seeing. You don't need to be an artist. What you need to be able to do is sketch the important features adding notes, scales, and interpretations. To teach this I take students to a large feature that they can see totally in their field of vision. As most of my field groups are in Hawaii, I take them to a pit crater. We sit down, open a notebook (normally they have not written a thing in this by now) and ask them to draw a picture of what they see. We talk about using simple outlines such as the top of the crater, the walls, the floor. We talk about how you don't have to be Michelangelo - but just need to show the major features you can see. Then we discuss the features we can see. After each feature, we annotate our sketches. It really is that simple. Again, there are a number of apps you can use to draw on top of a photo (like the Apple You Doodle) to do the same, but you still just can't beat pencil and paper. You can also take a photo, and then compare your sketch later. Mastering the field description is a skill that most students will not come across in other classes. This is the art of writing a description of what they are seeing in a style that others can read to understand/experience what yu were experiencing. That means using size estimates (guestimations if that works) and suggesting possible relationships. I say to my students 'imagine you were providing your notes to a person who was blind' and they needed to understand what you were seeing. Again, you don't have to be a word artist but you do need to be able to describe accurately. Don't forget to describe textures and colors. I like to finish up the field notes with a conclusion of what I am seeing. These are not 'strong verifiable' conclusions, but just what I think might be happening in the field view. Often I find these to be completely wrong after visiting more and more sites, but it gives me a good sense of what I was thinking at the time, which can also highlight biases that I had at the time. These can be very important if the notes are being interpreted by another in the future. One thing I notice a lot with students writing ion field note books is that they struggle with the standard lead pencil (HB) as the lead is way too hard to be able to write darkly and to sketch. I suggest that they get a softer lead pencil (a B or 2B) which makes the whole process easier. You can even get these softer leads in clutch-style pencils which are perfect for field work as you don't need to sharpen them. I find I loose pencils in the field, so I buy cheap clutch 0.7 mm pencils are replace the leads with these higher quality 2B leads. Field Notes in an App? Over the years I have used a number of apps for collecting field notes with my phone (in my case always an iPhone). Most of this has been to capture a geolocation for a photograph and enable me to store some quick notes. I will admit I still prefer a written notebook for longer notes. The two I like the most are FieldNotes (great name for a good app) which has a free version that can do most of what you want to do if you also take great notes. The second is Fulcrum - which requires a paid account. Fulcrum lets you set up all your own fields for data collection. This is great if you have a project that you want to collect specific data, like a well log etc. So what field note skills do you like to teach your students? Share in the comments below! 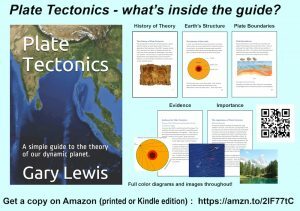 I was lucky enough to have a structural geology professor and field camp professors who drilled good field note skills into my head. It’s far and away the most useful part of my education in my job as an environmental field technician, to be honest. That little bit of extra effort goes a LONG way when I’m writing the report a few weeks later! This is a great article on the basics. My Field Camp Professor drilled accurate, readable, clear and succinct notes. He always held up his field book and said “Someday you may be putting your right hand on a different book, so be able to say ‘Go out and prove me wrong'”. Wow, more great stuff on your site! So glad I found this. Awesome ideas here – mind if I share this to our social media? Please go right ahead Jim! 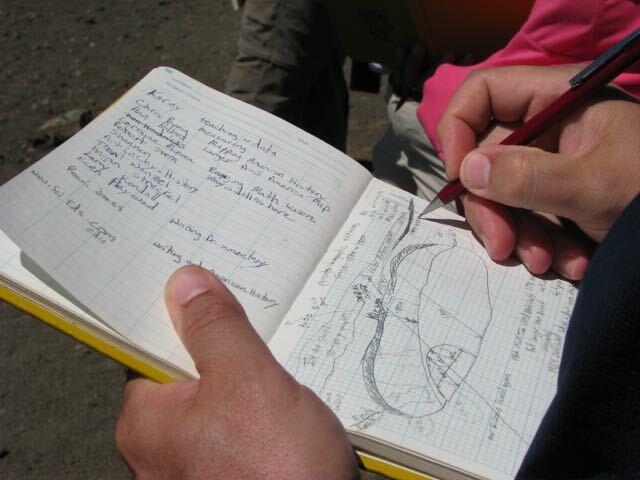 Every time you finish at an outcrop, take a geotagged picture of the new pages in your notebook. It also acts as a backup in vase the notebook gets lost.